Whisky fans looking for something a bit different to hang from their Christmas tree this year can now buy a set of hand-blown whisky baubles. 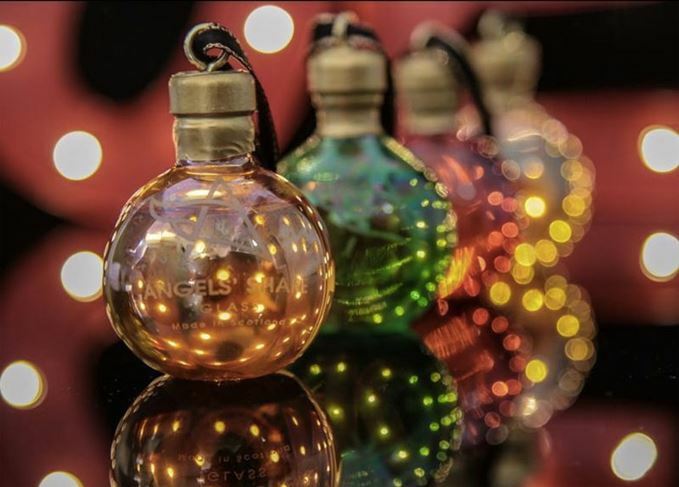 Scottish glassmaker Angel’s Share has partnered with whisky blender Douglas Laing & Co. to create a set of four coloured glass Christmas baubles, each filled with a different whisky. Available in a range of colours – red, orange, green and gold – the baubles are each filled with 50ml of one of Douglas Laing’s Remarkable Regional Malts: Big Peat, Timorous Beastie, Scallywag and Rock Oyster. The baubles, which are refillable, can be tied to Christmas tree branches by a ribbon attached to the cork. Karen Somerville, managing director of Angels’ Share Glass, said: ‘We’ve always made Christmas baubles sealed with a famous whisky quote inside so we thought why not go one step further and make lovely glass ornaments filled with whisky you can drink. The boxed sets of four baubles are available from the Angel’s Share website for £48 each. Let us help you find the perfect present for the whisky lovers in your life this Christmas.